Ms. Kelly is a Professor and Cooperative Extension Specialist in the Environmental Science, Policy and Management department at UC Berkeley. She joined ESPM in 1999. Her training is in geography from UC Berkeley (BA), and geospatial technology and applied geography from the University of North Carolina in Chapel Hill (MA), and the University of Colorado in Boulder (PhD). After grad school, she was a National Research Council postdoc at the National Marine Fisheries Service lab in Beaufort, NC. She is currently a faculty director of the Geospatial Innovation Facility and Director of the ANR Statewide Program in Informatics and Geographic Information Systems (IGIS), both of which are dedicated to bringing cutting-edge mapping technology to the ANR network, students, staff, faculty, and the public. Q: Your lab’s research focuses heavily on understanding California’s ever-changing environment. How do you imagine California’s landscape evolving over the next several decades? A: California is made up of a distinctive mix of large urban areas and agricultural, rural, and wilderness areas. When it comes to water, food, energy and habitat conservation, we often talk about these topics in siloes, as if they are unrelated. This has often meant that discussions around the future of urban areas, working landscapes, wildland and agricultural areas put these important topics at odds with each other. This orientation misses the important contributions that agricultural, rural, wild, and interface landscapes make to the state. The way we choose to handle the next few decades of population growth and climate change will determine our future. If we were having this interview one year ago, we would be talking about the concerns related to California’s drought. This season has brought us record amounts of precipitation but we are still not in the clear. There are still concerns about groundwater levels and our ability to facilitate groundwater recharge. In California, we have needs for housing and jobs, for clean water and energy, for habitat and open space, and for food from sustainable, profitable and fair working landscapes. We need to collectively think about the balance between all of these factors. Our linked natural and social environment is constantly changing and the physical landscape is the manifestation of all these interwoven natural and social forces. Remote sensing, GIS, and spatial analysis are the way to understand systems, communicate options, and plan for the future. So here is my pitch for our discipline: we need a 21st Century Mapping Toolkit. Many of the challenges we face today around food, water, natural resources, equity, energy, invasive species, fire, climate change – are complex, require a spatial approach and impact diverse public groups. Addressing these challenges requires innovative & resourceful data collection, data synthesis, novel analytical tools, and increased communication and cooperation between scientists and citizens. Q: I can’t help but notice that you have so many accomplished women on your staff, is this something you actively pursued or did it happen organically? A: At Berkeley there is a really strong trend towards women in technology. 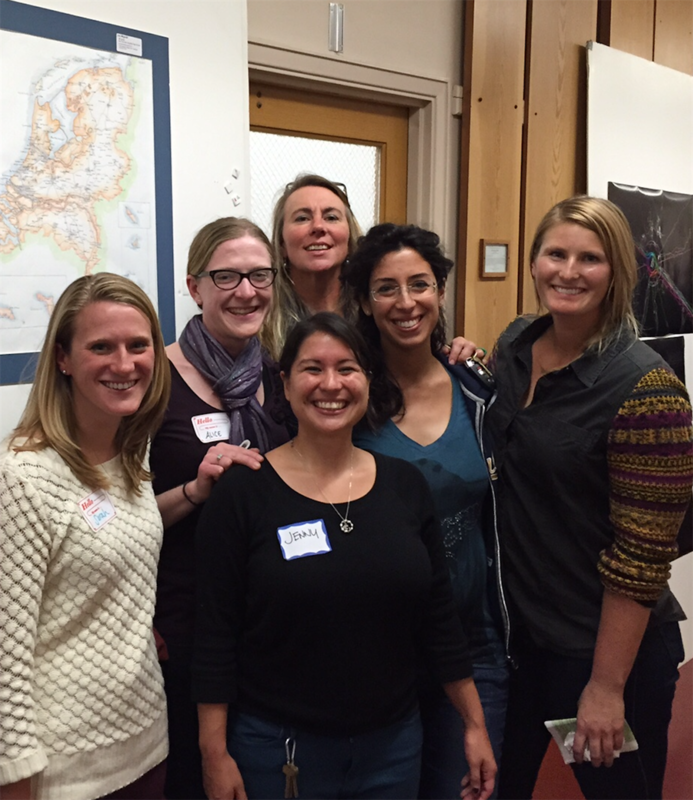 Right now at Berkeley all of my staff and grad students are women with the exception of one visiting scholar. This wasn’t by design, it just so happened that all of the top student applicants who applied to work with me have been women. I am involved in a new NSF-funded program on Data Science for the 21st Century(DS421), and half of our graduate students are women. This is a different experience from what you might find in industry. Indeed, in the statewide program that I run (Informatics and GIS), the opposite is true, and I manage a staff of all men. I think there is more to be done to support women in STEM fields and women in tech in general, and I think we could do a better job across the board in supporting diversity in STEM and tech. Q: Over the span of your impressive career, you have published over one hundred papers. What have been some of the highlights? A: I have a lot of favorites. I love collaborative projects where I can push myself on the geospatial technology front, while making discoveries or get insights to a system that are useful outside of the academy. A recent example of that would be a recently completed project called The Sierra Nevada Adaptive Management Project (SNAMP). The project was a joint effort by the University of California, state and federal agencies, and the public to study management of forest lands in the Sierra Nevada. My lab was involved in both the spatial analysis work and public participation efforts. Our spatial team, worked with other scientists, managers and the public to develop products that could be useful for a range of needs. We worked with biologists studying a small mammal called the Pacific fisher, as well as biologists studying the California spotted owl. These animals were once common throughout the Sierra Nevada mountains but they are less so now. We used LiDAR (light detection and ranging) to map detailed forest structures around the Fisher’s denning trees. Our approach allowed biologists to investigate a significantly greater area than they had been able to achieve previously, and to really understand the complexity of the Fisher’s habitat. Our work helped managers and the public understand how these animals were using the forests, and what might be done to help protect their habitat. We also applied some neat machine learning tools with optical imagery and LiDAR to get more detailed and accurate vegetation maps that could be used in fire behavior modeling. I see this kind of work in spatial data science as a key integrator for environmental science and management in general. Q: Any other favorites you’d like to share? A: As part of that same large SNAMP project, we took a completely different approach to social data, and used a machine learning tool called Self-Organizing Maps to map out 10 years of discussions between scientists, managers, environmental advocates and the public. This method takes something that is a-spatial, such as the textual notes taken at public meetings, and turns them into a spatial-temporal word cloud, where the peaks and valleys indicate which topics have been discussed with frequency, and which topics have been discussed in an integrated way. The result is a spin on the traditional topographic map: with peaks and valleys representing topics, instead of elevations. The tool allowed us to make sense out of 10 years of public meeting notes. It helped us to tell a story about how discussions around fire and forest management has evolved over the last decade. We were able to track when certain topics became problematic or more contentious. We could even see when different technologies such as LiDAR gained influence. It was heartening to see that many of the science topics discussed over the 10 year time period – such as water, or wildlife, or fire – were discussed always in concert with spatial tools like maps, or LiDAR. My interpretation is that the spatial technology can help make complex scientific concepts more real. Our work on this tool will help stakeholders track the progress of public discourse. I am also really interested in open data and making historical ecological data open and available for research. I have an ongoing project right now making a great historical dataset called the California Vegetation Type Mapping (VTM) project. The collection, which was created in the 1920s – 1930s (spearheaded by A E Wieslander) is a valuable historical resource for understanding changes over a decadal scale to California’s wildlands and urban interface. My lab was part of a larger project to digitize this dataset, and make it web available for researchers. We’ve made the entire collection available via an open API., and we are working on several projects that use the data in comparison with modern vegetation data. Q: Your lab utilizes a wide array of cutting edge technology, can you tell us about anything exciting on the horizon? A: We are constantly trying to push the envelope of what is possible. A lot of our work right now is focused on UAV or drone technology. Our lab has been testing out thermal, infrared and LiDAR sensors on our unmanned aerial vehicles. 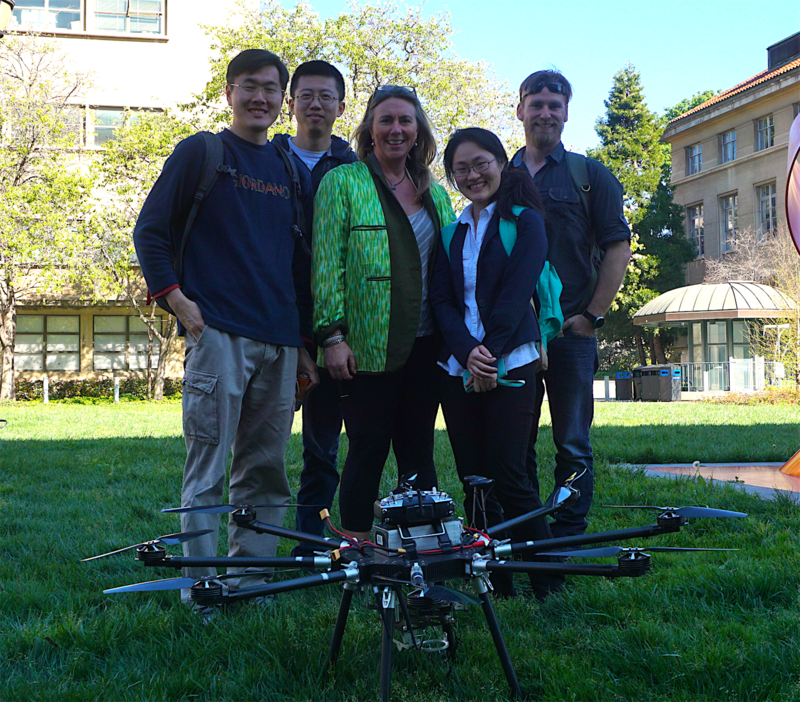 I’m excited about the new and exciting applications that UAVs will unlock. It is only getting easier and easier to acquire high resolution imagery. 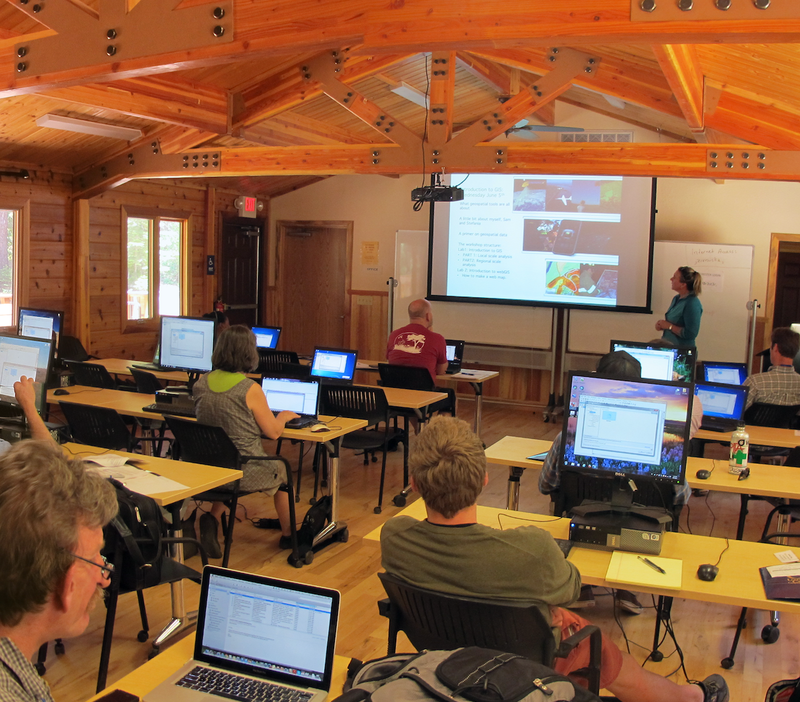 My statewide program IGIS is hosting a 3-day boot camp or dronecamp this coming July. We will go over everything from studying for your pilot’s license test to learning about how capture data and analyze it. I think the biggest challenges facing us right now in the geospatial field are around data fusion. I mean that both generally and specifically – we are able to synthesize data from a multitude of streams – high resolution, multi-temporal imagery on demand from drones and small sats, location data from citizen science projects, diverse data from open data repositories. We are also blessed with a proliferation of tools to do data management, analysis and visualization. These new data sources and tools present huge opportunities to our community, but also present challenges. Spatial data today are similar in many ways to the five V’s of big data or data science: volume, variety, velocity, and veracity, and value. We have a lot of heterogeneous data coming at as quickly and we need to think about ways to manage, analyze, and visualize data and results so that they are useful to society. That is why I am talking more these days about “spatial data science” rather than on “GIS” or “Remote Sensing” per se, since I think we need to change the way we train students and do our work. I am focusing more on data workflows, on open tools, and on collaboration and communication than ever before.